Women who claim asylum in the UK are seeking refuge in what they hope is a fair and just country. Often they have horrific experiences and fear for their safety when they are in their country of origin. Their presence in the UK is indicative of the continued threat to their lives elsewhere. Sadly, the asylum process is flawed, probably due to the continued pressure (real or imagined) on the government to restrict immigration. Those who seek asylum are not coming to the UK because they would prefer to live and work here – it is more of a necessity than a choice. Yet all too often in people’s minds, encouraged by much of the way the media reports on them, asylum seekers are lumped within the immigration bracket and seen as suspect. The eligibility of asylum seekers to stay in the UK should not be dictated by the fluctuating mood of the country to tolerate immigration. We should take it for granted that when a person will be persecuted in the country they came from, it is unacceptable to just shrug our shoulders and put them on a return flight. Yet the way asylum seekers are treated is congruent with a system that is loath to admit that many of those who seek refuge have genuine reasons for doing so. When I was researching the asylum system last year, I would sometimes discuss my work with others. I found that it was a commonly held belief that most asylum seekers are successful in their claims. In fact, only a minority are: 36% in 2012 (the highest proportion in at least a decade). Are two thirds of asylum seekers just chancers, hoping to get in by faking elaborate, compelling backgrounds that have been cleverly seen through by the UK Border Agency? To me, this seems incredibly unlikely, given the culture of disbelief that many claim exists, propagated by the pressure to limit entrants to the UK. Yet in a self-fulfilling cycle, by refusing so many people, the idea that most asylum seekers are undeserving of asylum is propagated and thus pressure increases to limit successful claims. A new report from Women for Refugee Women gives further insight into the shockingly poor way we treat many of the women who come to our country for sanctuary. 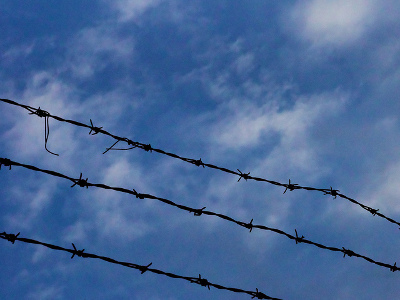 Detained: women asylum seekers locked up in the UK researches the experiences of 46 women who have been kept in detention during part of their time attempting to claim asylum in the UK. What strikes me again and again is how badly these women feel they are treated. Numerous times, the detention facilities are likened to a prison and the women talk of being treated like “criminals” and “animals”. The healthcare provided is insufficient, leaving many (including pregnant women) suffering and ill. They have no privacy, with several women talking of how male guards walk into their rooms even when they are naked. Some mention the verbal and physical abuse they have received while detained. There is incredulity that they are in the UK – their perception of the country has been that it will be a haven from their traumatic lives, yet they find themselves in a place that seems devoid of hope and care. Of the women Women for Refugee Women talked to, over 85% had been raped or tortured before coming to the UK. More than half were persecuted because they were women. Their experiences make this time in the UK particularly important – they need support more than ever. However, detention does not offer this support. In fact, the research finds that all of them are unhappy, 30% are on suicide watch and one in five have attempted suicide. Why do we have this system? It seems like an expensive way to break down women at their most vulnerable. As the charity suggests, an alternative system of allowing asylum seekers to live in the community while pursuing their case would be effective and avoid the inevitable trauma of detention. The women who are kept in detention seldom know when they will be released. Two fifths of women are kept in detention for over a month. Is this really an acceptable way to treat people who have come to the UK for help? Can’t they understand that I would never willingly leave my home and my family unless I absolutely had to? I would never have made the choice to be a person without power, without status, who is seen as less than human and treated as a criminal when she is vulnerable and asking for help. The current way the UK deals with women asylum seekers is unacceptable. It needs to change. If you would like to know more about Women for Refugee Women, click here. There is an event on 13 February, outside the Home Office at 5.30pm, where people will gather with lights (such as torches and sparklers) to let the Home Office know they are shining a light into detention. To sign a petition created by a woman detained in Yarl’s Wood to stop detaining women who seek asylum, click here. The photograph was taken by Paul Hudson and shared under a Creative Commons Licence. It shows barbed wire against a blue sky. I agree that the current system is arbitrary and cruel. This can and does manifest in many different ways, and the perspective of this piece focuses on the plight of women, where our policies as a nation reflect an additional unfair bias. At the root of the issue is a generally accepted view in the minds of the (voting) public that has allowed weak political leadership to pander to our worst instincts. One element is a fear of foreigners. Another is a belief that we can sit as judges of the worthiness of other people’s claims to basic rights, in this case the right of freedom of movement. It is a scandal that nearly two thirds of women are not believed when they claim asylum. I do not know what the equivalent figure is for men. I expect it is much lower but whatever it is it is also a scandal. These people are basically being told that they haven’t suffered enough to rank as an asylum-seaker – they are “only” wanting to better the lives of themselves and their families. A would-be immigrant (male or female) should not have to prove their suffering before they can be treated with humanity, and if we were to become a haven in the world from the cruelties and inequities of uncaring or malicious regimes then we would be a better place for it. Thanks for your comment, Coribel. To clarify, the figure I give for successful asylum cases is for all asylum seekers, not just women. My understanding (though I haven’t checked this right now) is that actually women are slightly more successful in their cases, though it’s still a minority that are successful. This is generally thought to be because far fewer women make it to the UK to claim asylum (it’s a 30/70 split women/men despite women making half of refugees as indicated by the UN) so the cases they bring can seem more compelling as they’re less frequently encountered from women. Plus there’s the whole viewing women as victims thing. It also depends on what the reason is – for example, from what I know, women who claim on reasons of sexual orientation are less likely to be successful than men.